We are a renowned name that is actively committed towards offering qualitative Hybrid Redish Kawasaki Seeds. 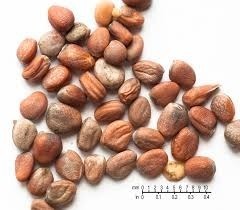 Our provided Hybrid Redish Kawasaki Seed is available in various packaging options for our clients. - Semi-upright plant habit and grows well. - Roots are 45-50 cm long, straight and pure white. - Ready to harvest after 42-47 days of sowing. - Root are firm textured with the late pithiness enabling extended harvest period. Specification: Foliage is with dark green colour short medium hairy leaves with semi erect in nature. 50-55 days maturity. Cylindrical, milky white in colour, very little leaves hairy. 42-45 cm (L), 2.5-3.0 cm (D) and 300-400 gm average weight. Radishes require well-drained soil with consistent moisture. Keep soil evenly moist but not waterlogged.Thin radishes to about an inch apart when the plants are a week old. You will be amazed at the results. - Very uniform leafy radish, this new hybrid is very easy to grow and suitable for sowing from May to September, very fast growing with extremity upright leaves. Asia Seed India Pvt. Ltd.
Sikko Industries Ltd produce best quality Radish seeds.